Planning to Delhi sightseeing using public tranport? 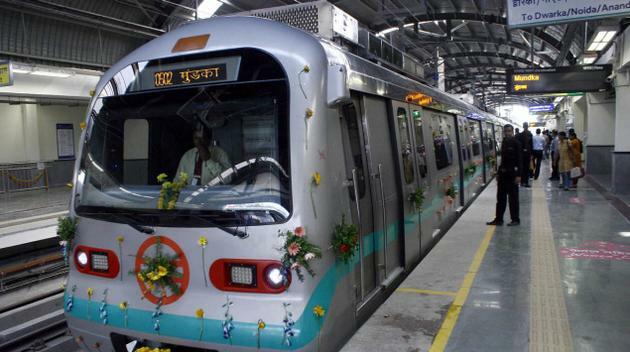 Read the first part of the two part series article that shows how to do Delhi Sightseeing by Metro in 2 days. This article contains a list of places you can visit in New Delhi on the first day. Start your day early so that you can make the most of it, and plan your day well in advance in terms of the monuments you would like to see and the time you would like to spend at these monuments. Following is what can be done on day 1. Start your day from the Chandni Chowk metro station on the yellow line metro. Constructed in the year 1648 by the Mughal emperor Shahjahan, this fort has played a significant role during the Mughal period. Even today, on the Indian independence day, the Prime Minister on India addresses the nation from this magnificent monument on 15th of August. Entry Fee: Rs 10 for (Indian Citizens) and Rs 150 for (Foreign Nationals), Rs 50 extra for sound and light show. Photography: Photography (still cameras) is free. Distance: approximately 2 km from Chandni Chowk metro station. Timings: 9:30 a.m. to 4:30 p.m.
How to get there: Walking, auto rickshaws and cabs are available. Time required exploring: 2 to 3 hours. Additional Information: A UNESCO World Heritage Site. 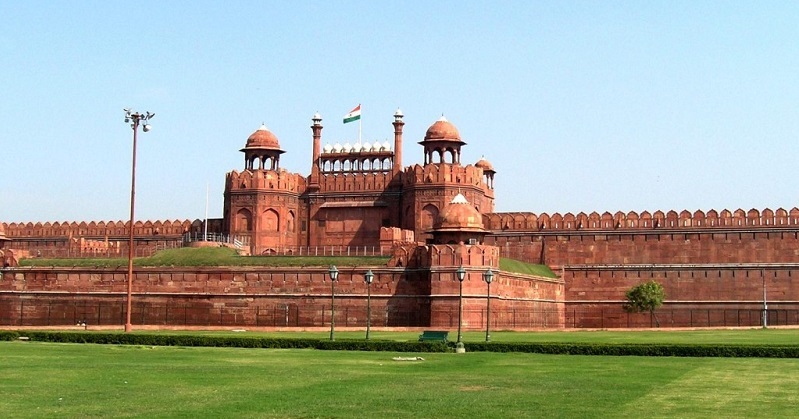 After visiting the Red Fort, board the metro at Chandni Chowk and move towards Rajiv Chowk. Alight at Rajiv Chowk metro station. Built in 1931, this is a popular business center and shopping destination for locals and tourist alike. The specialty about this place is that there is nothing that one cannot find or buy at Connaught Place. Distance: Walking distance from Rajiv Chowk metro. How to get there: Walking. Time required exploring: Depends on traveler’s interest. The Jantar Mantar of Delhi is one of the five astronomical observatories in India built during the 18th century. 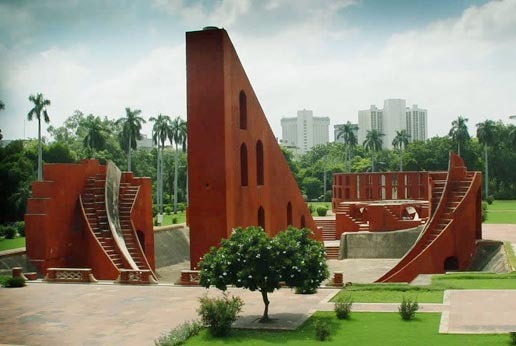 The Jantar Mantar is one of the top attractions of Delhi and draws a huge amount of visitors all round the year. There is a Sun Watch along with a maze at display here. Open: All days of the week. Entry Fee: Rs 5 for (Indian Citizens) and Rs 100 for (Foreign Nationals). Distance: 1 km from Rajiv Chowk metro. Timings: 6:00 a.m. to 6:00 p.m.
How to get there: Walking, auto rickshaw, cabs are available. Time required exploring: 1 hour. 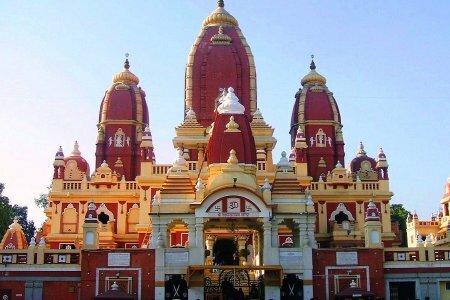 The temple is dedicated to Laxmi (Goddess of Prosperity) and Narayana (The preserver) and is a major attraction with tourist visiting Delhi. Photography: photography, mobiles and cameras are not allowed within the premises. Distance: 3 Km from Rajiv Chowk metro station. Timings: 4:30 a.m. to 1:30 p.m. & 2:30 p.m. to 9:00 p.m.
How to get there: auto rickshaws, cabs and local buses are available. Time required exploring: Around 30 minutes. Board the yellow metro line again and move towards central secretariat. Alight at central secretariat metro station. This memorial is known as the pride of Delhi and was built in memory of the Indian soldiers who laid down their lives for the country. 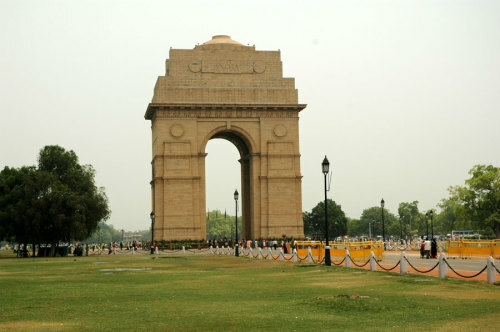 The surrounding areas of the India Gate are popular picnic spots and they draw large numbers of visitors throughout the day. Distance: approximately 2 km from central secretariat metro station. Designed by British architect Edwin Lutyens during the British rule in India, this monument was the residence of the British Viceroy. Today, it is the official residence of the President of India. Distance: approximately 1 km from central secretariat metro station. The Parliament House of India marks the governance of the World’s largest democracy. The complex houses the lower house ‘Lok Sabha’ and the upper house ‘Rajya Sabha’ and a Library. The Parliament complex has beautiful gardens and fountains which add glory to the entire complex. Later Board the metro yellow line again and move towards Jor Bagh. Alight at Jor Bagh metro station. Described by historians as the last flicker in the lamp of the Mughal architecture, this monument is one of the last built in Mughal style of garden tombs. A must visit; the Safdarjung Tomb is amongst the most popular historical memorials in Delhi. Photography: Allowed; video filming is Rs 25. Distance: approximately 1 km from Jor Bagh metro station. Timings: Open from Sunrise to Sunset. How to get there: Walking distance from Jor Bagh metro station. Time required exploring: 1 to 2 hours. One of the most popular parks of Delhi, which has many monuments amidst its beautiful landscape that belong to the Mughal era. Distance: approximately 1.5 km from Jor Bagh metro station. 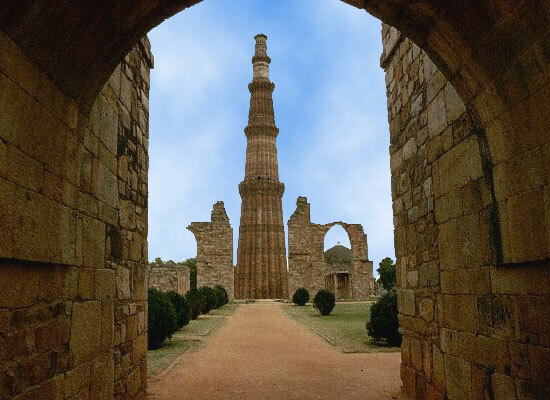 The highest stone tower in India was built in the year 1193 by Qutub-ud-din Aibak. Apart from the imposing tower the complex also houses the Quwwat-ul-Islam mosque which is known to be as the first mosque built in India. Entry Fee: Rs 10 for (Indian Citizens) and Rs 250 for (Foreign Nationals). Distance: approximately 2 km from Qutub Minar metro station. Time required exploring: 2 hours.